The VA has adopted a Class Deviation to the VAAR, severely restricting the ability of VA Contracting Officers to request waivers of the nonmanufacturer rule–and, even more troubling, suggesting that Contracting Officers need not apply the statutory SDVOSB and VOSB preferences even when the SBA has already granted a class waiver. 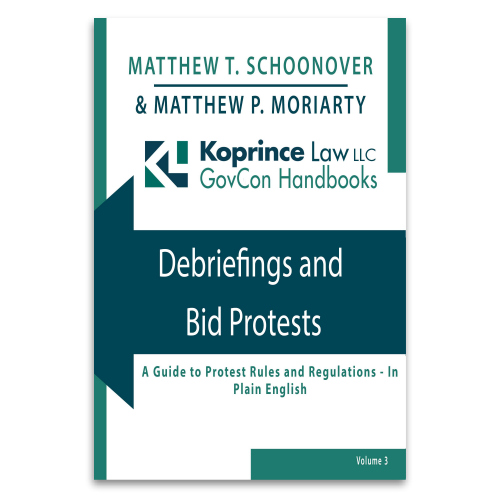 You may be wondering “does the VA’s Class Deviation comply with Kingdomware?” Good question. Before diving into the details of the Class Deviation, let’s step back for a second to review why this is so important. Under the SBA’s regulations, when any contract is set-aside for small businesses (including SDVOSBs and VOSBs) under a manufacturing NAICS code, there are two ways that the prime contractor can satisfy the requirements of the limitations on subcontracting. As one option, the prime contractor can agree to pay no more than 50% of the amount paid by the government to it to firms that are not similarly situated. In other words, the prime can do most or all of the manufacturing itself (or work with similarly situated small businesses). Alternatively, the prime can sell the products of another business, so long as the prime qualifies as a nonmanufacturer. For VA SDVOSB set-asides, VAAR 852.219-10 (VA Notice of Total Service-Disabled Veteran-Owned Small Business Set-Aside) provides the applicable limitation on subcontracting. While this clause has not yet been updated to reflect the new wording of the SBA’s regulations, it also recognizes the nonmanufacturer exception. A nearly-identical provision is set forth in VAAR 852.219-11, which governs VOSB set-asides. The nonmanufacturer rule, in turn, states that a company qualifies when it meets four requirements. Among those, the company must “supply the end item of a small business manufacturer, processor or producer made in the United States or [obtain] a waiver of such requirement.” The SBA is the only agency empowered to grant nonmanufacturer rule waivers. An SBA nonmanufacturer rule waiver can be a “class” waiver, which applies to a class of products after the SBA determines that there are no small business manufacturers available to participate in the Federal procurement marketplace. Anyone can request that the SBA process a class waiver. Alternatively, the SBA can grant an “individual” nonmanufacturer rule waiver when it determines that no small business manufacturers are likely to be available for a particular solicitation. Only a Contracting Officer can request an individual waiver. 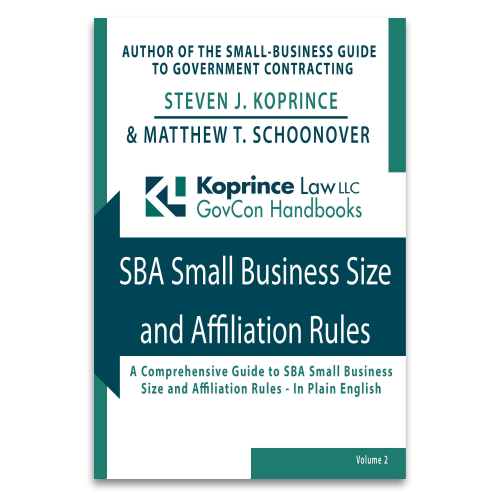 So, to sum up, if a small business (including an SDVOSB or VOSB) wants to sell the product of a large business under a set-aside contract, the small business may do so provided that an SBA class waiver or nonmanufacturer rule waiver is in place (and provided that the small business satisfies the other criteria of the nonmanufacturer rule). Many small businesses validly sell products this way: the SBA’s current class waiver list spans 14 pages. That takes us to the VA’s recent Class Deviation. The Class Deviation does two things. First, the Class Deviation states that a Contracting Officer must receive the approval of the Head of the Contracting Activity, or HCA, to request an individual nonmanufacturer rule waiver from the SBA. As this helpful GAO report states (see pages 3 and 4) there are only eight HCAs in the entire VA. (For comparison, that’s the same number of people who have been in the Rolling Stones). So the Class Deviation strips the discretion to request nonmanufacturer rule class waivers from VA Contracting Officers (where the FAR says it belongs) and limits it to only eight individuals. Further, the HCA’s authority to approve individual nonmanufacturer waiver requests “cannot be redelegated.” Anyone want to guess what this is likely to do to the number of requested and approved individual nonmanufacturer rule waiver requests? In other words, the Class Deviation provides that a Contracting Officer cannot make an SDVOSB or VOSB sole source award or establish an SDVOSB or VOSB set-aside competition for a product covered by an SBA nonmanufacturer rule class waiver unless the HCA approves. The almost-certain result is that many procurements that otherwise would have been set aside for SDVOSB and VOSB nonmanufacturers will be issued as unrestricted instead, with awards going to non-veteran companies. The Class Deviation seems to make the assumption that the VA gets to pick and choose when to “use” a nonmanufacturer rule class waiver. I’m not sure that the SBA would agree. It seems to me that a class waiver either exists, or it doesn’t. It’s hard to see this Class Deviation as anything but a premeditated targeting of SDVOSB and VOSB nonmanufacturers as somehow unworthy of the preferences established by 38 U.S.C. 8127 and Kingdomware. I hope that the powers that be at the VA come to their senses and retract this poorly-conceived rule. The Class Deviation itself doesn’t address the interplay between this rule and Kingdomware, and I’ll reserve for another day my thoughts on whether this Class Deviation complies with the Supreme Court’s ruling–but unless the VA does the right thing and withdraws the Class Deviation, my crystal ball sees another battle in the future. This entry was posted in Service-Disabled Veteran-Owned Small Businesses and tagged 38 USC 8127, Class Deviation, class waivers, individual waivers, Kingdomware, nonmanufacturer rule, rule of two, SDVOSB set-aside, SDVOSB sole source, VAAR 852.219-10. Bookmark the permalink.